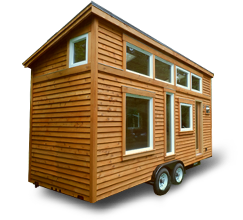 Simplify your life, live with less, lose your mortgage. Green materials reduce your footprint. Celebrate more time and explore self expression. 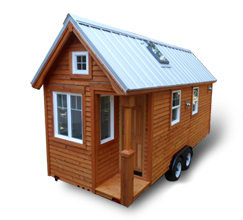 "My decision to build a Tiny house was based on a ton of research and lots of comparisons between builders. 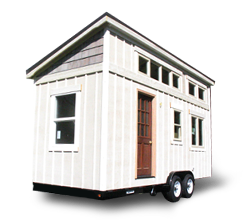 In the end, I am delighted that I chose Oregon Cottage Company as my builder." 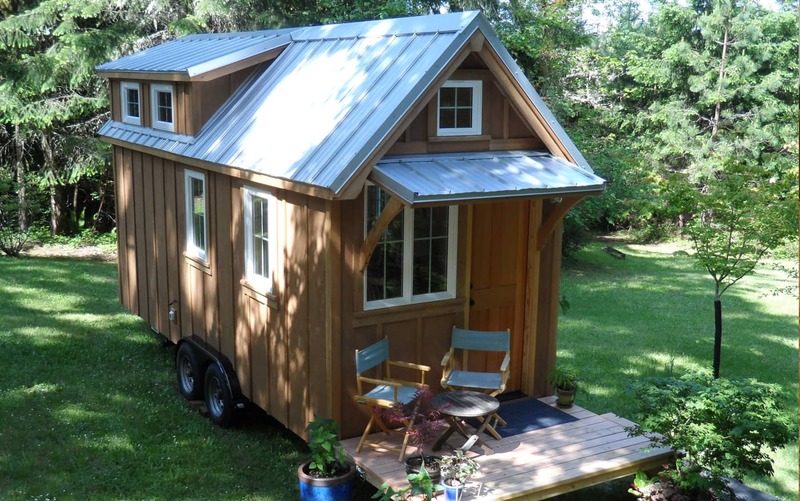 "I just received my brand new Ynez Cottage & I love it! I have already had many visitors — including people who just knock on the door asking to see inside. A family even a family followed it in from the expressway (on the day it was delivered). Everyone has commented on the craftsmanship and design." 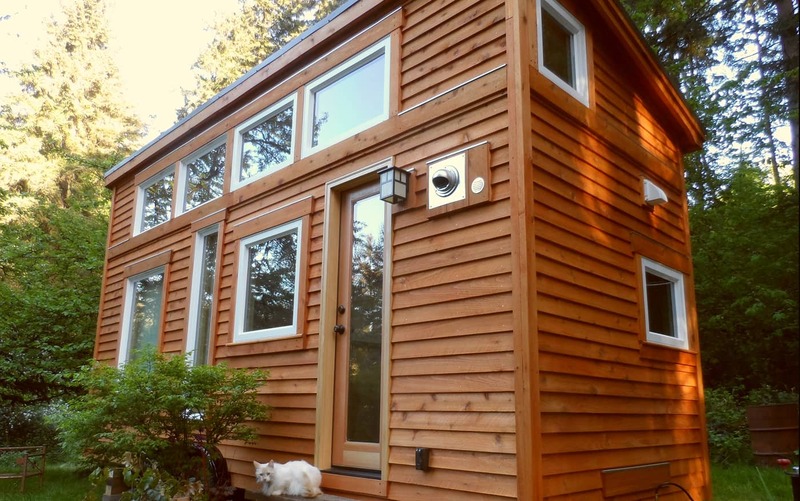 "I drove to Cottage Grove, Oregon to meet Todd Miller and tour his model home. Wow! It's absolutely beautiful. The quality of construction is the best of the best. 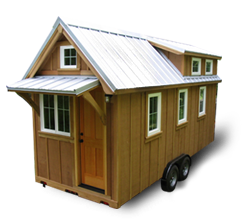 It's structurally engineered to withstand just about any disaster thrown at it." "When I started researching tiny houses several years ago, I found a blog photo of the Ynez and tracked down the Oregon Cottage Company. Todd worked closely with me to accommodate my home office and pet-friendly interior. After living in it through all seasons, I find that it completely fits my aesthetics and active lifestyle." "Todd blends total competence in the architectural field with a generous, patient, and thoughtful personal nature. I cannot imagine having a more seamless interaction from start to finish." Still researching? On the fence? 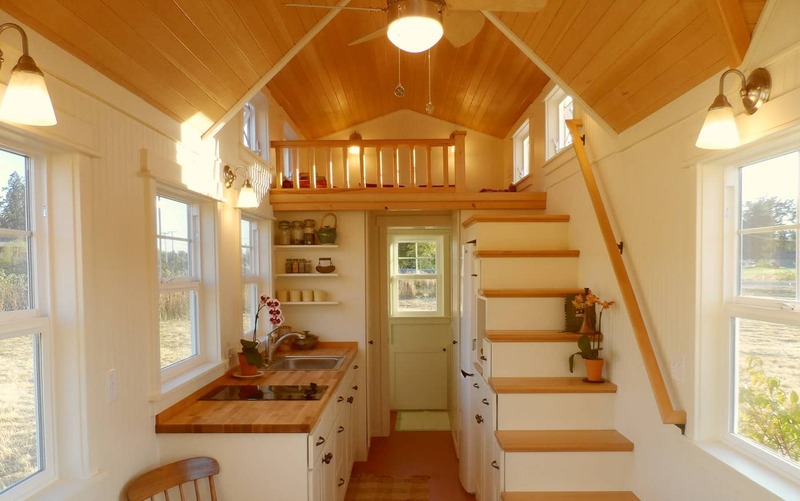 Read the benefits of going tiny and how Oregon Cottage Company can build your small dream home. 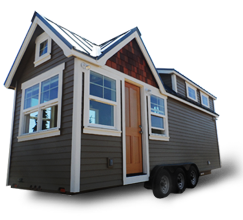 From co-operative design right up to delivery, Oregon Cottage Company follows a simple multi-step process to ensure your new tiny home is exactly what you want and built with quality craftsmanship. All our cottages come with essential standard features, but many non-standard features and options are available so you can customize your new Tiny home any way you want. Our choice of materials is directly linked to our personal convictions regarding sustainability and our goal of simplifying our clients’ lives. We are admittedly passionate about building efficient and beautifully crafted homes. Our intent is to create an environment that will empower you to achieve self-reliance, a healthy lifestyle, and joy in simplicity – a base from which you can explore your own life’s path. Choose one of these designs so we can help your vision become form.